WhatsApp Stickers, Swipe to Reply, and other new features: Here's a description of how they function, and the devices that support them. 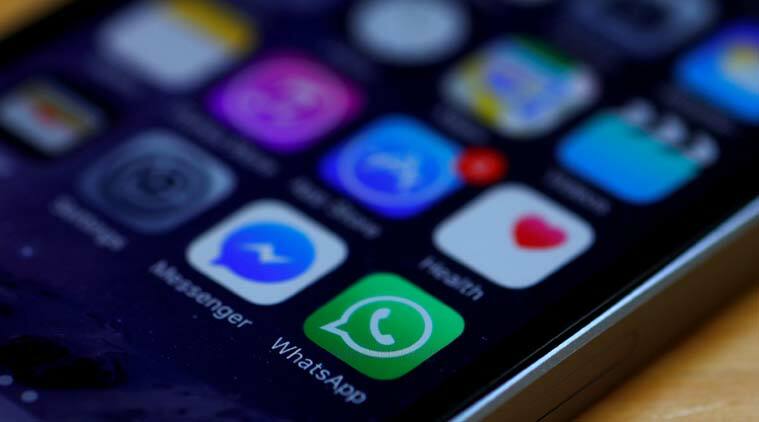 WhatsApp new features: Let us take a look in detail top new features that are currently either being tested or has been made available on WhatsApp. WhatsApp is one of the largest messaging platforms globally with close to 1.3 billion users, out of which around 250 million are in India. The Facebook-owned company actively adds features to make the service more useful and fun. A lot of these features reach WhatsApp beta testers ahead of public roll out. WhatsApp recently rolled out picture-in-picture (PiP) mode for Android users, again currently restricted to beta. The ‘Swipe to Reply’ is another such feature. In addition, the company is also said to be working on ads in Status, which will reportedly being tested for iOS. More features include inline image notifications, Messenger-like sticker packs, etc. Swipe to reply is already available for WhatsApp iOS users. It was recently spotted in Android beta version 2.18.300, suggesting it could soon be rolled out for Android users as well. It lets users quickly respond to a specific message by simply swiping it towards the right side, which will directly open the message in the reply context. This means users will not need to long press a message and click on the reply icon to reply to a specific message in a chat or a group. This was first reported by WABetaInfo. PiP feature is again something that is present on iOS, but it could soon be made available for Android users. As per a WABetaInfo report, it can be accessed on WhatsApp Android beta version 2.18.301. The feature lets users watch YouTube, Instagram and Facebook videos in WhatsApp app itself. Facebook, Instagram, and YouTube videos will open in a small window within WhatsApp in chat window of the user who has sent the link. The video bubble will include play/pause, close and fullscreen controls as well. WhatsApp users can decrease or increase the size of the video bubble, or move it around the phone’s screen. WhatsApp plans to add advertisements to the Status feature, which will reportedly be similar to Stories on Instagram. WABetaInfo claims that the messaging app plans implement ads on the iOS version. The company officially insists that ads on Status for iOS will not weaken the end-to-end encryption. WhatsApp could get its own set of stickers and the feature is anticipated for quite some time. According to a previous report by WABetaInfo, sticker preview was available for WhatsApp Android beta version 2.18.218. Now, the site reports that a new sticker pack under the moniker ‘Biscuit’ has been added to the messaging platform. It also posted the preview of the sticker pack and claims that it will be available in the future build. Stickers for WhatsApp was announced at Facebook’s F8 conference earlier this year. Just like Facebook Messenger, users will need to download sticker packs for the first time. Post downloading a pack, people will reportedly be able to use stickers from it even when offline. WhatsApp is testing inline image notifications in Android beta version 2.18.291, according to a WABetaInfo report. However, the feature will only work on devices running Android 9.0 Pie or later. It allows the WhatsApp image notification to expand and collapse to show the picture. Though it will not work for GIFs and videos, they will still show up a small icon indicating the user that they received them, but they won’t be collapsible or expand for preview.